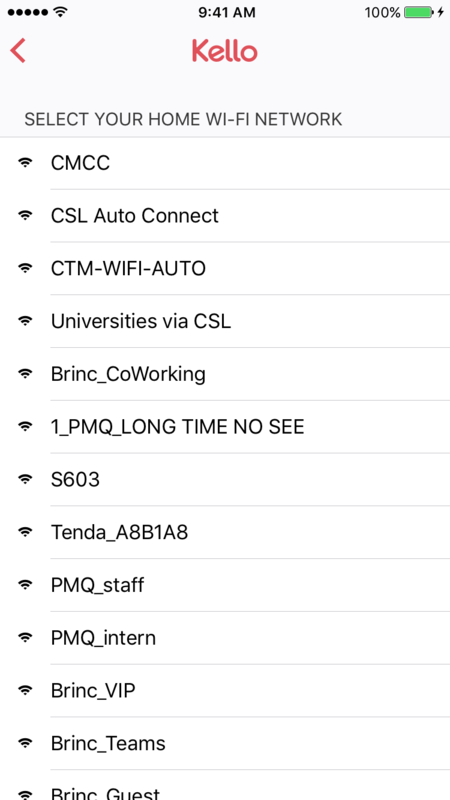 This article for you only if you don't see your Wi-Fi network in the list of surrounding networks in the Kello app. If you can see your network but have an error connecting to it, check this article. ➡️ Kello can only see Wi-Fi networks using the 2.4 GHz frequency. It won't see 5 GHz networks. Check your router's settings. Note that even if Kello is connected to the 2.4 GHz network and your phone to the 5 GHz network, your phone will still be able to control it. If you need assistance, or if you have checked the item above and still don't see your Wi-Fi network, ask for assistance.